The name Byzantine is synonymous with a band thriving in the underground for its whole existence. Heralded as the most underrated band from the New Wave of American Heavy Metal Movement, Byzantine has slowly gained a cult-like following after releasing 5 genre-bending albums. 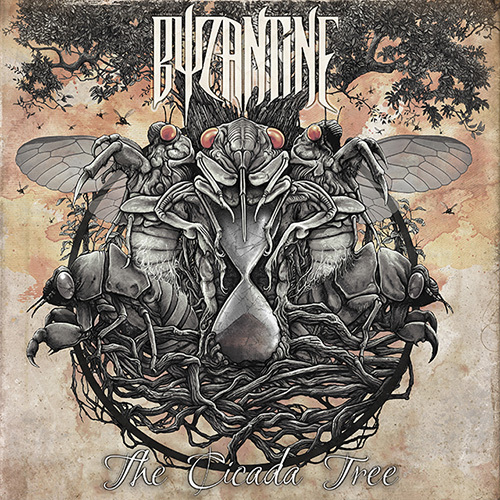 Now, Metal Blade Records has given Byzantine the chance to show their talent on a bigger stage and the band has responded with The Cicada Tree – the culmination of many years of musical craftsmanship and resounding songwriting. 16 years underground, it’s finally time for the world to hear Byzantine on June 2nd!